Telescoping tube extends 15.7" to 23.6"
Short Throw Projector Wall Mount is built especially for wall mounting short throw projectors. The proven Multicel projector spider holds securely almost any video projector. Go with CQ/CT series if you want the efficient solution to managing your projector through mounting it to a wall. No matter where you move or where you go, you will be home theater capable with this mount. It is adjustable and extendable to ensure you can rearrange your home theater in an infinite number of ways and still have perfect image quality. 2. The CT Series Projector Mount's Distance to the wall is variable up to 59.8 inches and can easily be adjusted. 3. Extending and collapsing arm allows distance adjustment to the wall. Mounts slides along aluminum arm for precise projector placement. 4. The four arms that connect to the top of the projector have angle and length adjustment to fit all major monitor brands and models on the market. 5. universal projector wall mount fits virtually all the projectors on the market. 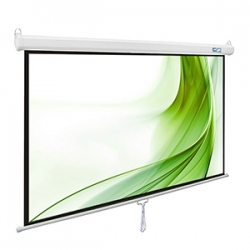 Four adjustable arms can be rotated individually and extended or retracted to suit various projector mounting patterns. 7. Mounting your projector to the wall makes adjusting your image easy. No more reaching high on a vaulted ceiling or grabbing an unwieldly ladder every time your image goes out of focus. 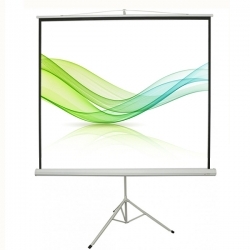 The durable construction also ensures your mounted projector wont slip, swivel, or sag on its own. 9. Before purchasing, be sure to find the mounting holes on top of your projector and measure the distance between each one (especially the ones diagonal from one another). If all diagonals measure 17" or less then this mount will fit your projector. Providing ability: 8000PCS per month, absolutely prompt delivery time, best after-sale service.